"Trevor was amazing. He is organized, responsive and really cares about making sure the party goes exactly how YOU want it to. Hiring Trone Productions was the best choice we made"
Portland's most exquisite wedding DJ brings style & flash to any event. A great mix of current & classic hits for dancing fun. A high quality light show to add something special to your event. Trone Productions provides a higher level of professional wedding dj entertainment to the bridgetown area. The passion and dedication Trone Productions bring to each wedding is a unique experience for our clients on the most important day of their lives. We see no barriers in making your wedding day exceptional and we feel honored to have the opportunity. We always treat each client with the very best personal service. We know how to make your wedding day as entertaining as possible. Leave the stress of planning your next company function by going with a professional. You will find that Trone Productions is reliable, professional and very easy to work with. Reduce the stress of selecting a DJ Service by going with a Professional 5 Star Review Company. Only the best quality service comes from Trone Productions. 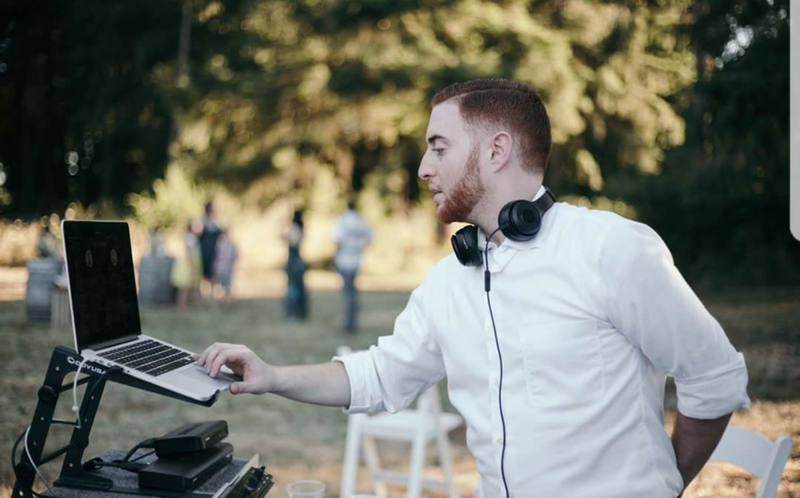 Portland's newest Wedding DJ Service with the best reviews from Northern California, Oregon, and Southwest Washington. We work with you to plan the agenda, music selections, announcements, and level of interaction that is right for you. Our commitment to you is simple, we will treat your wedding with the same care and attention to detail as we would our own. Ask About Our NEW Up-Lighting Packages! "Trevor was AMAZING. Everyone loved him. Trevor was very professional with interviewing all involved prior to the event to make sure on the night of the wedding everything went smooth. I could not be happier. Thanks Trevor." Trevor is a great DJ - enthusiastic, able to play diverse material, and completely appropriate --- all at the same time! I saw him at a family-oriented, big venue type event at Roloff Farms this weekend and wanted to pass on my favorable impressions for others. If you need a party covered by a good DJ, he's your man. “Trevor was Fantastic! Very friendly, Very personable, Super flexible, and on top of EVERYTHING, I was very pleased with the services I received Especially since we planned our wedding from out of state."